¿Qué me pongo en un día de lluvia? 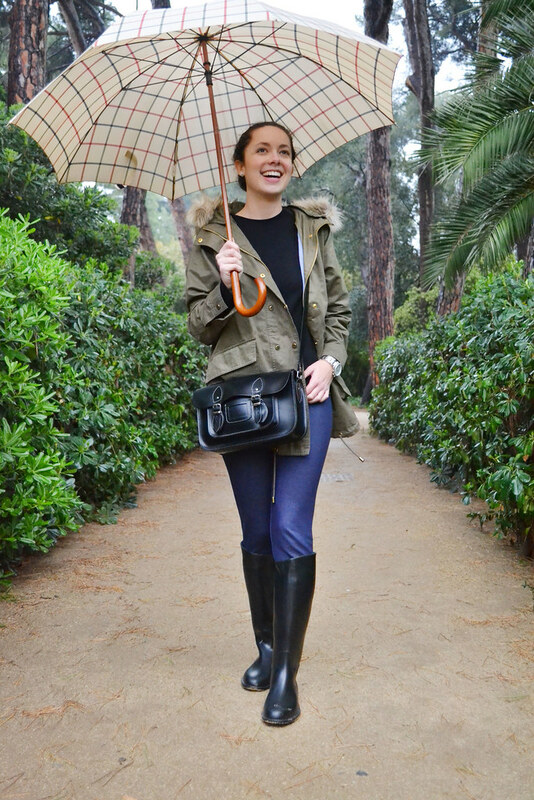 Ayer por la tarde fui a dar una vuelta y salí con parka de color verde militar, jeggins y las botas de agua que tengo desde los inicios del blog. De hecho, os he enseñado 3 conjuntos con ellas (aquí, aquí y aquí). Si queréis aún más ideas sobre cómo sacarles el máximo partido a vuestras botas de agua, aquí tenéis 4 looks con botas de agua ;). ¿Qué soléis llevar vosotras cuando llueve tanto? 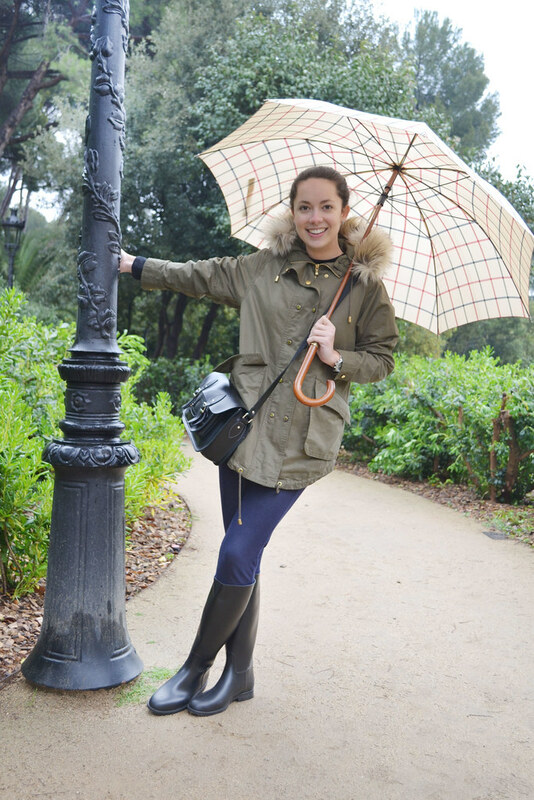 Last weekend, here in Barcelona the weather was cold and rainy! Yesterday, I wore a green parka, jeggings and my rubber riding boots (I’ve them since the first post). In fact, I’ve shown you 3 different outfits with them (here, here and here) so, if you want + outfits with rubber ridding boots here you’ll find 4 ways to wear them for making the most of them. 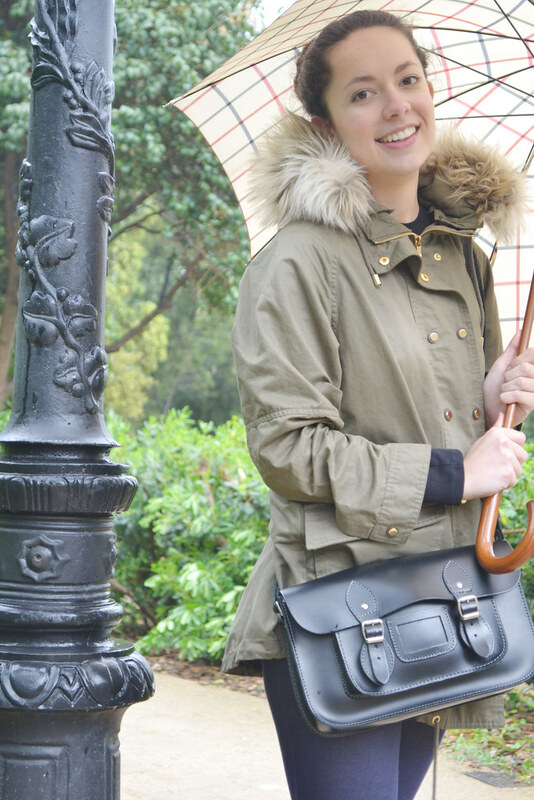 What do you usually wear on rainy days? P.S. 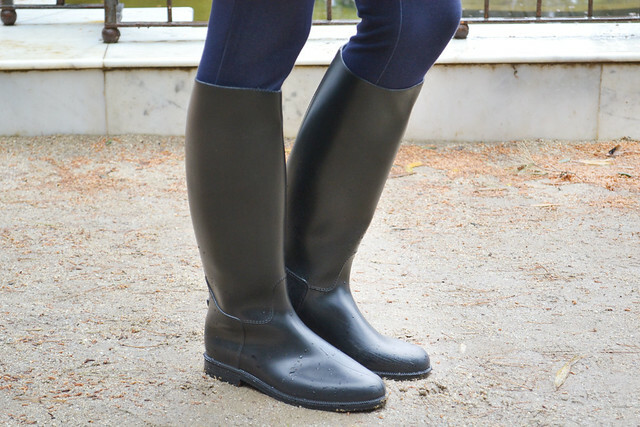 : Love this?, then you’ll really love my awesome ‘4 ways to wear rubber riding boots‘ post. And if you definitely want to rock your daily outfits, like you friends, then share it with them and follow me on my social channels to be the first to get awesome ideas for your outfits. Muy chulo tu look! 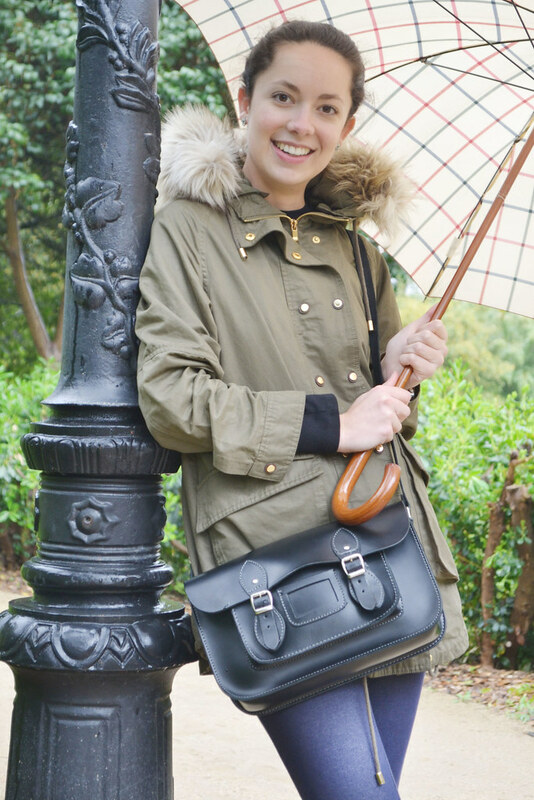 el paraguas ideal también! ¡Muchas gracias por tu comentario Almudena! ¡Me alegro mucho! ¡Muchas gracias por tu comentario Esther! ¡Qué bien que te guste! You look really great with your long shiny rubber riding boots! Please wear them as often as possible! These boots fit you extremely well! Kisses!